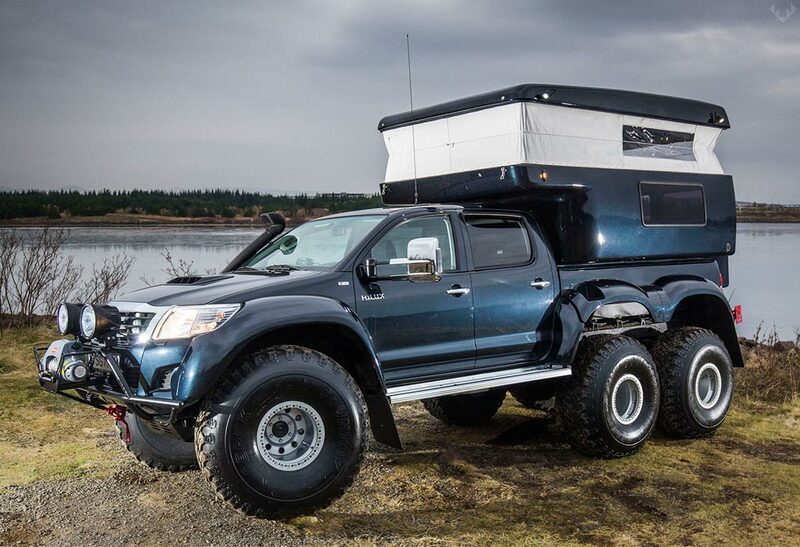 Meet the Hilux AT44 6×6 Arctic Truck, the new conqueror of the frozen tundra. 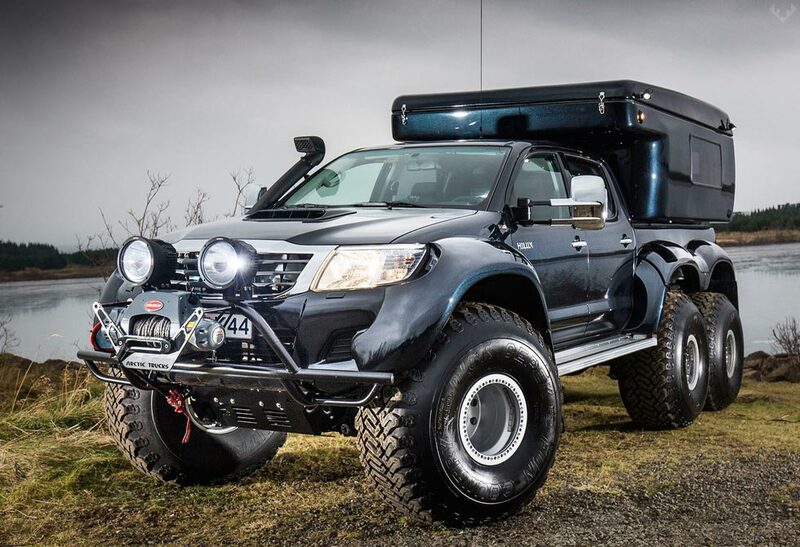 Forget the dog sled, it has nothing on the Hilux AT44 6×6 Arctic Truck. 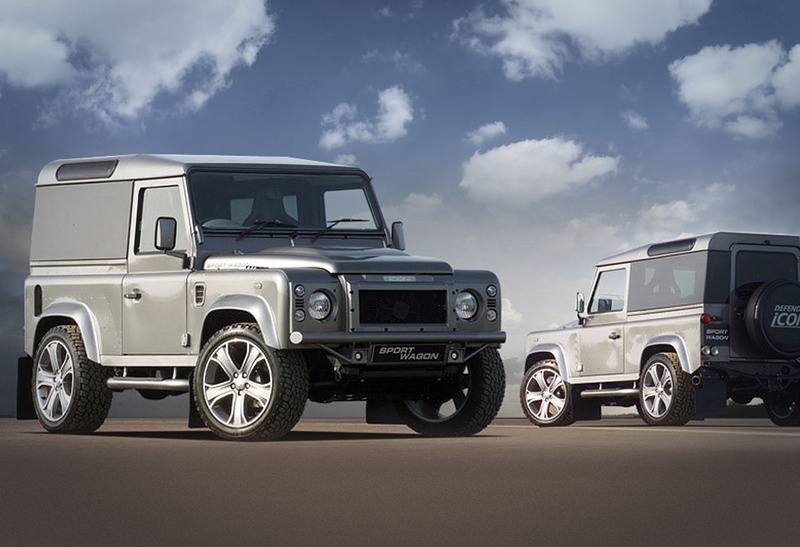 Arctic trucks, an Icelandic company, all began within Toyota Iceland in the early 90’s creating some of the wildest, most innovative off-road vehicles to date. 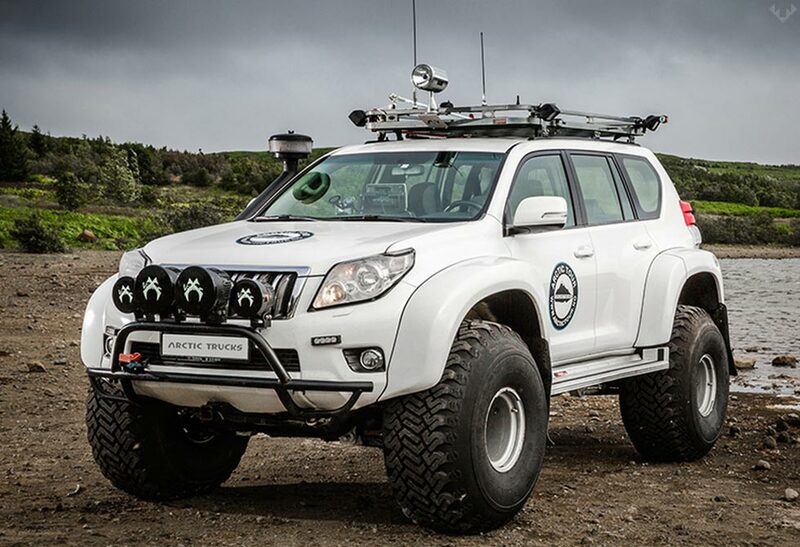 To this day, Arctic Trucks have prevailed over some of the harshest territory such as the Antarctica plateau (over 250,000km covered), driving the South Pole (over 50 times), as well as providing vehicles for BBC Top Gear adventure (if you haven’t seen it, I highly recommend picking it up). 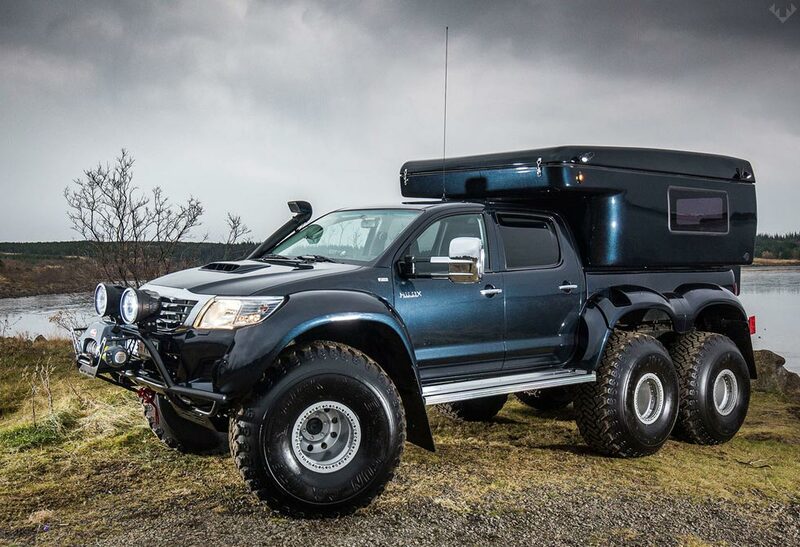 With its grassroots in Toyota, the Hilux truck was born from necessity and carried many advantages over tracked vehicles such as increased traverse speed and reduced fuel consumption to name a few. 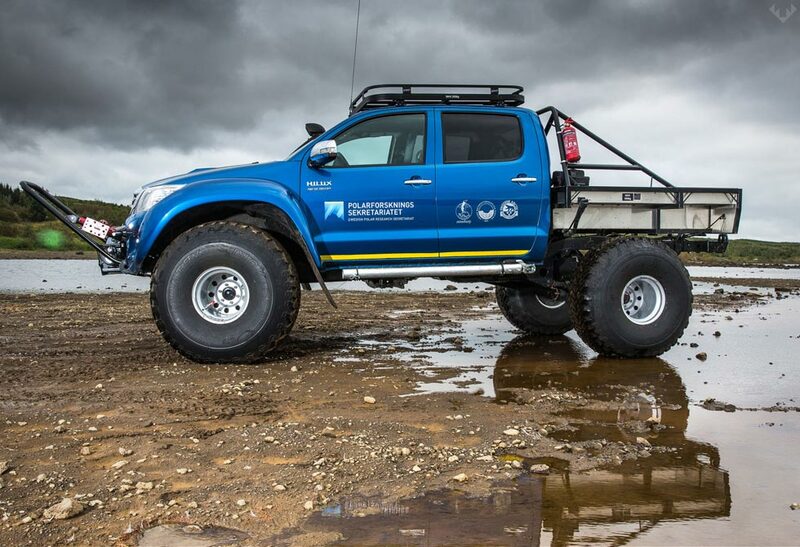 The Hilux AT44 6×6 Arctic Truck happens to be one of my favorite 4×4’s, or should I say 6×6, followed closely by the Hilux AT44 4×4 and the Land Cruiser 150 AT44 4×4. 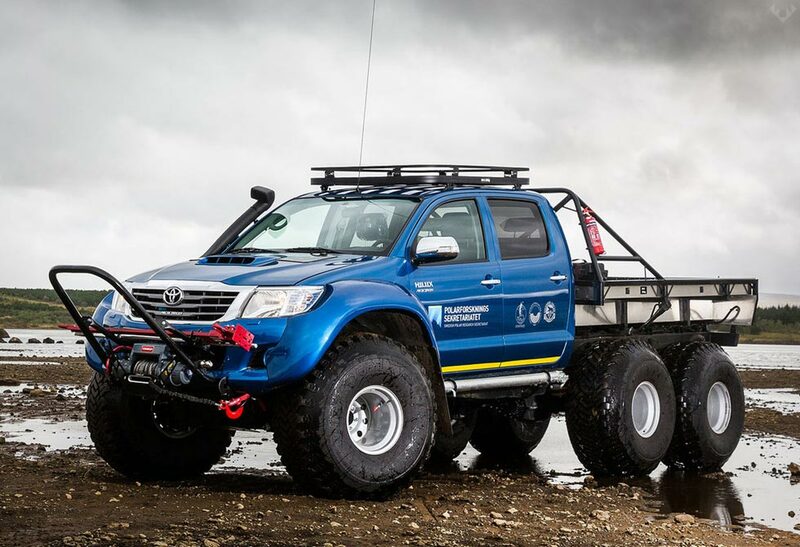 The Hilux AT44 6×6, as seen above is a serious 6 wheel drive that has been outfitted with a 171 hp, 3.0L diesel engine, monster 44×18.5×15 tires, a massive 550L fuel tank and a 2000kg carrying capacity. 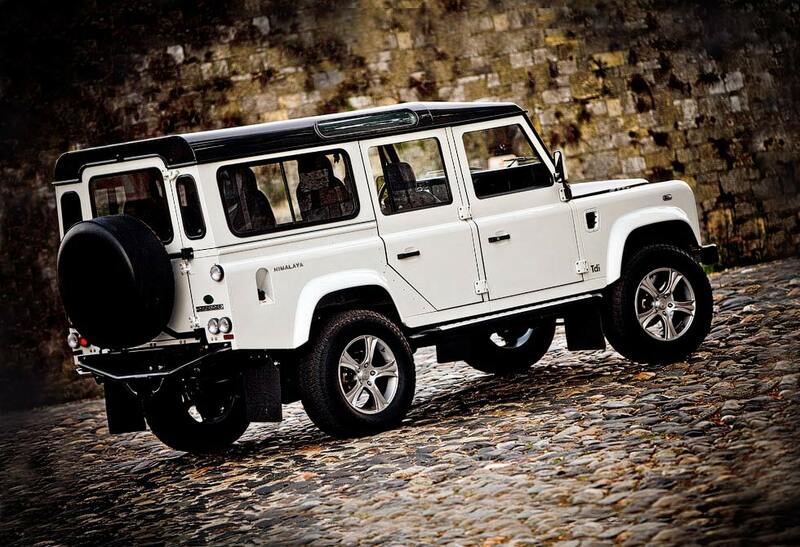 Made for extreme expeditions, Arctic Trucks continue to push the boundaries, and brings their unique experience on polar environments to the every day 4×4 market and beyond. 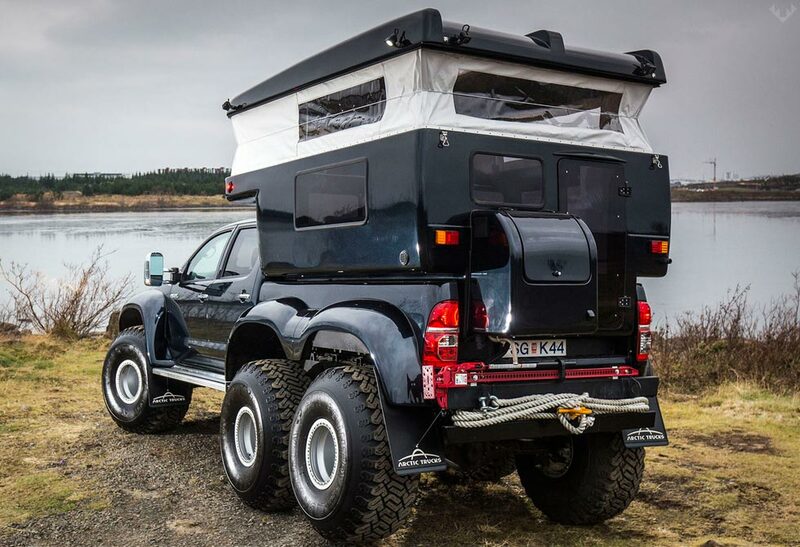 If you have a twitch for the unknown, then check out their Arctic Trucks Experience, with their grip on the unexplored, you too can experience what they have been living. 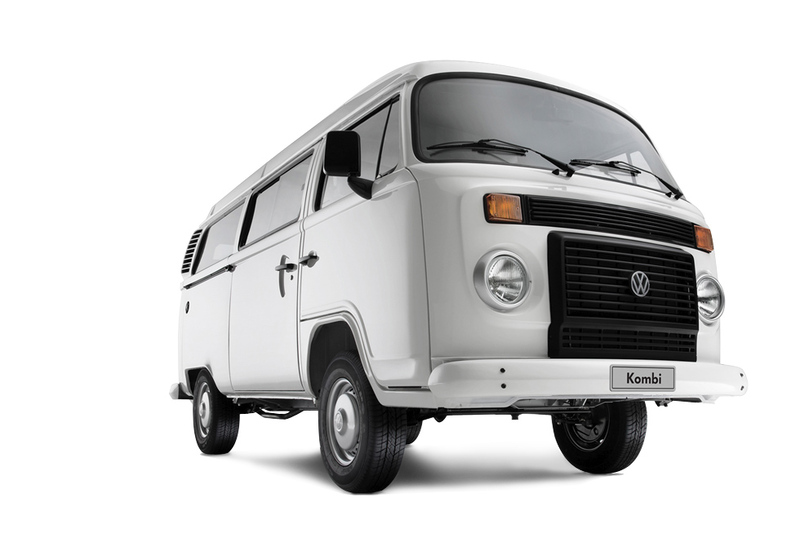 For the best solution for you, visit Arctic Trucks and continue to explore the unexplored.